Slow growing, small deciduous tree. 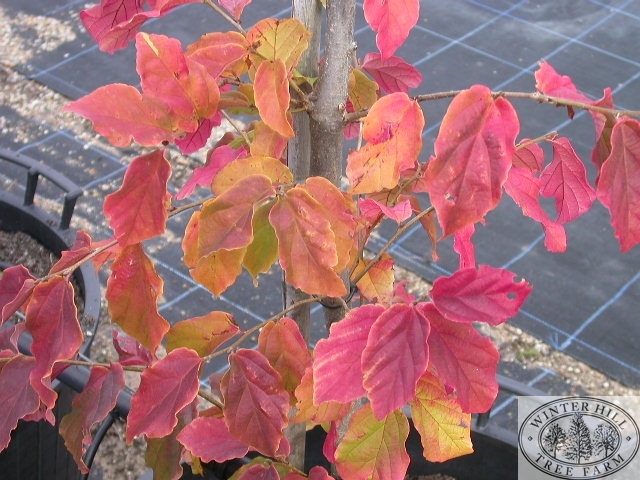 Deep green glossy leaves with unevenly shallowly scalloped edges, colouring to beautiful gold and crimson tints in autumn. Open vase shaped head on a short trunk. Suitable only for cooler areas in any reasonable soil with good drainage. Withstands dry conditions and exposure to wind once established. Safe to at least -10C.